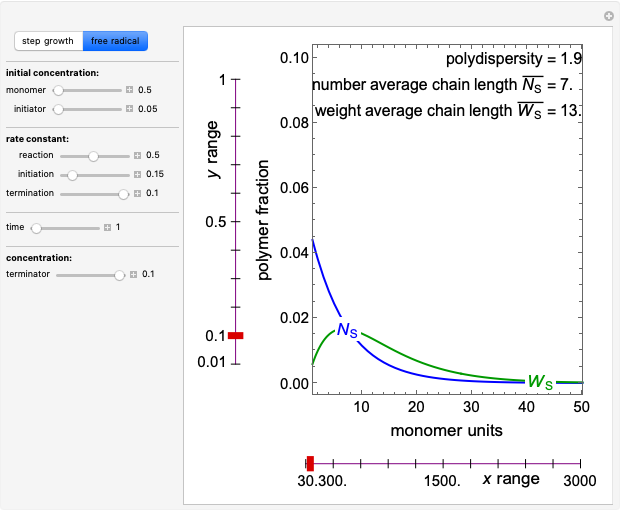 This Demonstration shows the number fraction (blue) and weight fraction (green) of polymer chains as functions of the number of monomer units for polymerization in a batch reactor. 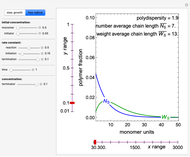 Select "step-growth" or "free-radical" polymerization with buttons, and use sliders to set reaction rate constants, initial concentrations and reaction time. 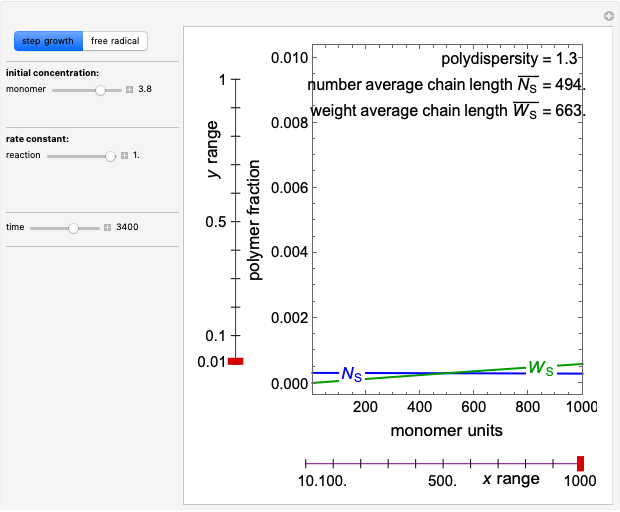 The number average chain length , the weight average chain length and the polydispersity are shown. 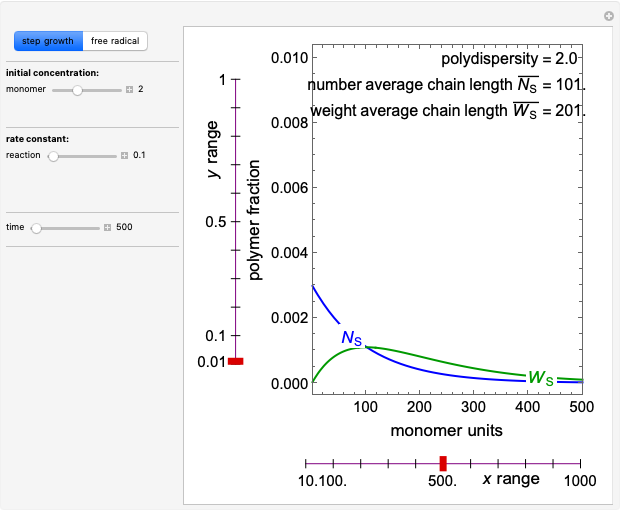 Distributions are calculated using the Flory–Schulz model. The and axes ranges change as the parameters change, and the thick red tick marks on the purple axes show the plot ranges used. 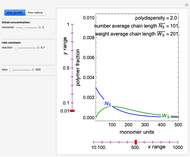 where and are the initial monomer and initiator concentrations; is monomer concentration; , and are the rate constants for the reaction, initiation and termination; is time; is the terminator concentration and is fraction of chains initiated by initiator. 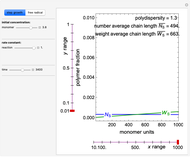 where is the polymer concentration. H. S. Fogler, Elements of Chemical Reaction Engineering, 5th ed., Boston: Prentice Hall, 2016. Rachael L. Baumann and Nathan S. Nelson "Polymerization in a Batch Reactor"